To live well is nothing other than to love God with all one’s heart, with all one’s soul and with all one’s efforts; from this it comes about that love is kept whole and uncorrupted (through temperance). No misfortune can disturb it (and this is fortitude). It obeys only [God] (and this is justice), and is careful in discerning things, so as not to be surprised by deceit or trickery (and this is prudence). The Catechism of the Catholic Church reminds us that prudence is the auriga virtutum, the “charioteer of virtues.” It’s “right reason in action,” the guide to correctly applying all other virtues. Rash action, no matter how well intended, violates prudence and usually does more harm than good. God gave us brains. He expects us to use them to judiciously pursue the highest moral good for others and for ourselves. Here’s why both these virtues are vital in the weeks ahead. On Friday, February 1, the Obama administration issued for public comment a set of revised regulations governing the HHS “contraceptive mandate.” At first glance, the new rules have struck some people as a modest improvement. They appear to expand, in a limited way, the kind of religiously-affiliated entities that can claim exemption from providing insurance coverage for contraceptive and abortion-related services under the new Affordable Care Act. White House apologists and supporters have welcomed the proposal. The New York Times called it “a good compromise.” Groups like the American Civil Liberties Union and NARAL Prochoice America have praised it. And at least one Washington Post columnist implausibly called it a victory for America’s Catholic bishops. “Gauging the net effect of the new administration proposal [is] hazardous. But one can say with confidence the following: (1) religious hospitals are, as before, not exempt ‘religious employers’; (2) religious charities are very likely not exempt either, unless they are run out of a church or are very tightly integrated with a church. So, a parish or even a diocese’s Saint Vincent De Paul operations would probably be an exempt ‘religious employer,’ whereas Catholic Charities would not be; (3) the new proposal may (or may not) make it more likely that parish grade schools are exempt ‘religious employers.’ But Catholic high schools are a different matter. Some might qualify as ‘religious employers.’ Most probably will not. One of the issues America’s bishops now face is how best to respond to an HHS mandate that remains unnecessary, coercive and gravely flawed. In the weeks ahead the bishops of our country, myself included, will need both prudence and courage – the kind of courage that gives prudence spine and results in right action, whatever the cost. Please pray that God guides our discussions. I should point out that Medicare Part D which covers perscription drugs was championed by President George W. Bush (a Republican)and imposed a “financial penalty for life” on any American who didn’t sign up for it at the time they originally signed up for Medicare. The nut cases from the far right didn’t express outrage at this intrusion of the government but have expressed such outrage against the Obama Health Care Act; I suspect these people are simply racists. I wonder if the proposed rule put forward by the administration is anything other than an attempt to take away legal standing from the, largely religious, institutions that are challending the contraception mandate. If successful, it takes the Catholic Church and its allies off the board and leaves only Christian lay people who are business owners to fight the mandate. That is a much smaller opponent that will be easier for the Obama administration to defeat in court. (2) those who oppose specific provisions of the Act can opt out of using them. As Chief Justice Roberts said, the cost imposed on employers is a “tax” which is constitutional. This carping must have been the same as the negative opinions expressed toward Social Security and Medicare; the fact is that it is now the law of the land and in time all Americans will derive benefit from it. Thank you Bishop Charles: You did a wonderful job clarifying how little the mandate means. Rapid City and Denver’s loss is Philly’s gain. You are missed out west! This silliness comes from the same purveyors of the idea that they shouldn’t let your employer make healthcare choices for you….by putting employers at the center of the healthcare plans. Stupid. If the government wants national healthcare. Than run a federally funded, taxpayer paid health plan akin to Medicare and be done with it. Get employers out of the picture completely. I mean, what did the Catholics involved, who aren’t hypocrites in public office, think was going to happen when they struck a deal with the devil and his politicians. Calling the takeover of 1/8 of our countries economy and forcing it upon people by calling it a tax is a perversion of taxing. Taxation by definition is a fee levied by the government. If you are opposed to a war,Paying a tax does not “force ” you to participate in the war When you pay tax at a gas pump you do not get your driveway paved,or forced to pave someone else’s driveway. Calling the takeover of 1/8 of our economy a tax, forcing one to participate at the barrel of a government gun,and punishing non participants has nothing to do with health care,and everything to do with power and control. This “health care” onion is political down to its root,as you peel layer after layer, you discover the complete lack of ” health care” and find no logical reason that a free people stand for this! I find it akin of trying to pick up dog poop by the clean end . 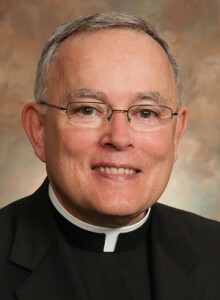 Pinto’s two thank you notes above are for Archbishop Chaput not Jay Mcnally. If the philly.com moderator did not remove the post the thank you notes would be seen in their proper context. All of the evils of ObamaCare — expanded abortion, contraception, euthanasia, rationing of care, religious persecution — were predicted by its opponents. Yet, ObamaCare passed in the US House only because USCCB staffers negotiated with NARAL and other pro-abort groups to hammer out the Stupak Amendment in Nancy Pelosi’s office the night before the vote. Now, even as American bishops all over the US speak of going to prison to protest the inevitable consequences of socialized medicine supplied by an atheist government, I am baffled that none of you — neither you nor even one of your peers — has publicly expressed publicly even a hint of a second thought about the efficacy of socialism. Federal health care is a violation of the principle of subsidiarity, and should have been rejected on that basis alone, quite aside from its violations of the Fourth and Tenth Amendments. So, my question: Do you have any second thoughts about socialized medicine now that you write columns like this one, the broad outlines of which I and thousands of other Catholic conservatives could have written for you 10, 15 and 20 years as boilerplate about what socialism is and does? I ask this respectfully, even it it seems somewhat harsh because the consequences of ObamaCare are going to be infinitely worse for Catholic families than it will be for any individual bishop. Many of us find your fixation on a socialist Utopia incomprehensible. so it is properly read! A government big enough to give you universal health care is big enough to force you to pay for other people’s abortions and birth control. I totallly agree with Jay, I am puzzled by the inability to see what was coming down the road by our leadership in the church. That said I will continue to support the Church started by Jesus and try to reach out to others. God Bless! “White House apologists and supporters have welcomed the proposal”. And those hostile to the Administration are disingenuously claiming they’re responding to an attack on religious freedom while what they’re really doing is pushing for an expansion of conscious protections to individuals. All of us, especially our faith leaders, have an obligation to be honest in public discourse. I am not sure what your point is, Irene. The moral conscience of the individual must be preserved. This does not mean that the individual can choose their own individualistic morality. The 10 Commandments are universal to all people. Each commandment is truly universal to all, that is to say, they can be affirmed by thinking about the meaning and spirit behind each one. Hi Everyone- My point is not that it’s not valuable or important to try and expand current legal protections for individual conscience claims. In a democracy, we have a right and obligation to advocate for changes to the law that we think will further the common good. I don’t think it’s ethical to knowingly promote a false argument even if you think it is for a worthy end. I think you are wrong thinking that our religious freedom rights are being “expanded”. And it is true they are being eroded. Never before has a religious hospital been forced to fund or perform abortions or deliver contraceptives. The constitution was not writen or groups alone but primarily for individuals and I have always had an individual right to the “free expression” in other words the right to express my faith and that right is not limited to my church’s grounds. Hi Dan- The health care mandate is considered a tax. In a similar situation, I personally have deep, sincerely held moral objections to the wars in Afghanistan and Iraq, and consider it very immoral that my tax dollars are going in part to finance those wars. My moral objections, however, do not exempt me from my tax obligations. I believe individuals’ objections to the mandate are comparable. I shared the following proposal with a very intelligent priest, and he told me to keep promoting it. Please share it with your brother bishops. The HHS mandate asks us all to violate our consciences by cooperating in abortion and other grave evils such as sterilization, euthanasia, and assisted suicide. It even violates the proper role of parents, who have the duty to keep such harmful things out of their children’s reach. We, as Christians, have the moral obligation to provide health care for those most in need, especially those closest to us. But we cannot do evil so that a good effect may come from it. We cannot buy a product that violates our conscience. We cannot buy Obamacare-compliant health insurance, just as we cannot buy a drone that is programmed to attack babies and the elderly, or a vending machine stocked with condoms, abortion pills, and vouchers for surgical sterilization, to which one’s own children would have easy and free access, without any further parental consent or even notification. If we can take positive measures to preserve the integrity of our consciences, we should do so; If we can find ways to provide for the bodily needs of others without paying for Obamacare-compliant health insurance, then we, as a Church, must take that initiative. (1) Join one of the three existing Health-Sharing Networks: “Medishare,” “Samaritain,” or “Christian Healthcare Ministries.” Although these are largely run by Protestants, it may be appropriate to cooperate with our separated brethren in these ministries of Charity, according to article 14 of the Pope’s recent motu propio “On the Service of Charity.” This would be a good short-term approach. (2) The best long-term approach is to form a Catholic version of these charitable ministries in each and every parish across the Country. This kind of thing is what the Pope is specifically asking for in article 9 of the same motu propio. The Holy Father even goes on further to describe how there could be cooperation between neighboring parishes, and even suggests that there could be coordination between neighboring bishops, in Article 12, paragraph 2. Pope Benedict cautions against an impersonal endeavor that is limited only to “collecting and distributing funds” (Introduction), noting that the parish-based ministries must “also promote in the whole community educational activities aimed at fostering a spirit of sharing and authentic charity.” (article 9) In other words, when we see someone in need, we should first consider if it is possible to help them immediately, under our own initiative, before getting the parish-based ministry involved in the matter. This would be a perfect example of the principles of Solidarity and Subsidiarity. Listening to your wisdom inspires hope!